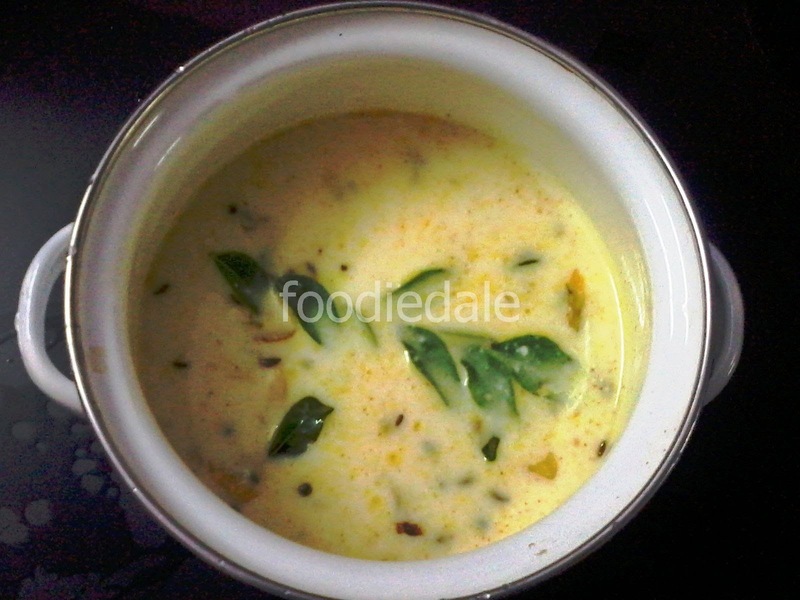 "It is a very simple curry which is made in everyday Kerala cooking category prepared out of buttermilk by adding spices to it and is very quick and easy to prepare"
Heat oil in a pan and splutter mustard seeds and chop and add shallots in it and saute well. Now add chopped ginger garlic and fry all together for 1-2 minutes. Add turmeric,cumin seed powder, fenugreek and saute well on a low flame. Mean while prepare buttermilk(Take 500ml curd. Now take a whisker and whisk it well or blend it in a mixer without adding water). Now add the butter milk into the wok and stit it until the steam comes out..make sure not to boil. If you are using full fat buttermilk make sure to add 1/4 cup water . Now switch of the flame and enjoy with rice.